Want to bake small cute looking Pretzel shape cookies? 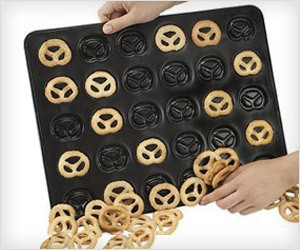 Frieling Zenker Mini Pretzel Baking Pan has 30 mini pretzel shaped slots. So, you can make 30 unique and fun shaped cookies in pretzel design in one go.